Marcela Ribas Cano has the soul of a swimmer, a dancer and a gymnast. Born in Ibiza on the 18th of February 1966, she is the President and top trainer of the Ibiza Synchro Sports Club (Club Deportivo Sincro Ibiza), and a swimming instructor for Ibiza Council for over 20 years now. Marcela found in synchronized swimming the way to integrate three of her biggest passions: swimming, dancing and gymnastics. Known as “water ballet”, synchronized swimming, which is generally shortened to “synchro”, is a sport that arose in Canada last century, in the 20s, and was further developed in the States a decade later. Since 1984, “synchro” is an Olympic discipline and has enjoyed great popularity in Spain, with the Spanish team becoming one of the best in the world at this sport, rewarded with two medals at the London Olympic Games. Synchronized swimming stands out for its great beauty and flexibility. In fact, Marcela organizes with her club 2 or 3 shows a year at Es Viver swimming pool, attracting large crowds. 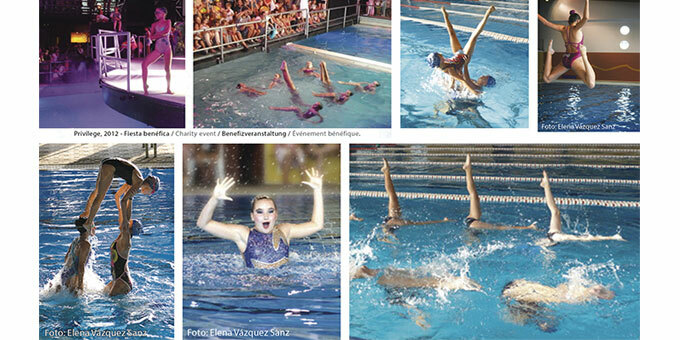 “Synchro” is one of the most integral and demanding sports of all. Its practice requires many hours of effort and training, and it is truly cross-disciplinary since it includes swimming, ballet, expression through the body, musical education, flexibility, muscle tone and stamina. In every exercise, each swimmer must show strength, grace, flexibility, rhythm and, especially, control of her breathing. As well as executing every movement precisely, she must match it to the beat of the music and to the rest of the swimmers. As a worthy heir of the pioneering spirit of her mother, Julia Cano Cobos, who was the first woman to work as Physical Education teacher in the Ibiza of the 40s, as Franco’s dictatorship began, Marcela introduced synchronized swimming to our island over 20 years ago, and has since then dedicated a good part of her life to consolidate and promote this exciting type of water sport amongst the islanders. As she herself states, her task has been and is to “open up the way to synchro in Ibiza”. Since she became a top trainer for synchronized swimming in 1988, Marcela Ribas has accumulated many achievements: the introduction in 1990 of “synchro” as a discipline into what was her club at the time, Club Natació Eivissa; the creation of Club Deportivo Sincro Ibiza in 2004 which, through its municipal pool in Es Viver, offers swimming and synchro clases to boys and girls of 5 to 16 years of age; a continued increase in the number of girls signing up, both at school and at competition level, reaching 100 at present; the good results obtained by the club at the Balearic championship, etc… Marcela remembers particularly proudly the successes of some of her pupils, who have even reached the national team, such as Veronica Piñero who, in 1998, was selected for the junior section of the national Spanish team, rubbing shoulders there with the Catalan Gemma Mengual, who went on to become a world star in synchronized swimming. The path has not been easy, and in these times it is even less so. It is when it comes to competing that the obstacles that Marcela has to face become most evident. For her club to be able to participate in Balearic and Spanish championships, they need resources that are not always easy to obtain. Financially, the club is supported by some institutional grants, especially from Ibiza Council, by the fees paid by to the school and through organizing raffles. Even so, budgets are often just too tight. 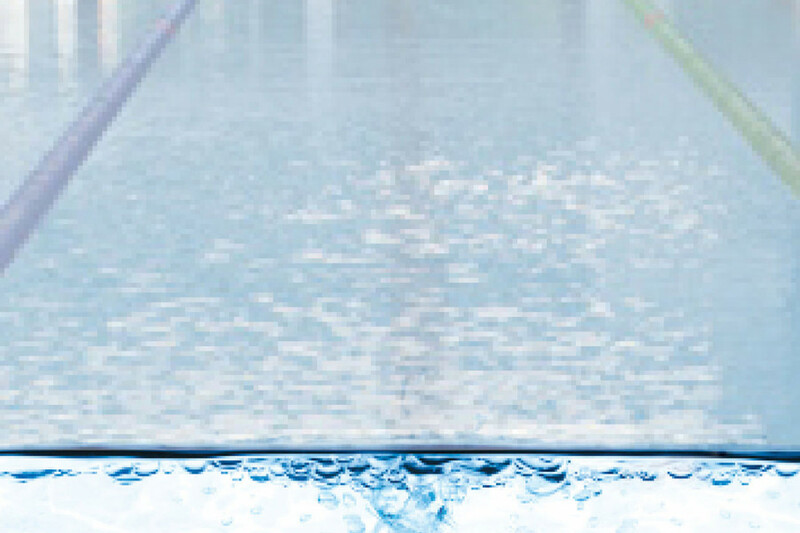 Marcela also has to deal with other obstacles such as the lack of space to train, the pool’s installations not being sufficient to carry out dry gymnastics, or not enough understanding from some parents who are not prepared to let their daughters spend more time training for “synchro”. If you would like to learn and practice synchronized swimming in Ibiza, or if you would like to participate in the sponsoring of Club Deportivo Sincro Ibiza, please contact Marcela (see below).